As a Long Island Divorce Attorney with nearly 15 years of legal experience, there is nothing more frustrating for me than driving down a road and seeing a sign which says “$399 Divorce. Spouse’s Signature Not Required.” Or, more recently, “Uncontested Divorce as low as $450”. Sadly, this is absolute nonsense, misleading many Long Islanders into contacting firms that cannot perform as advertised. Why do I say this? The answer is simple; in an Action for Divorce in any New York court, your spouse must receive personal notice of the divorce action. That means that your spouse must be personally served with the Summons for divorce. In plain English, a process server must personally hand your spouse the divorce summons (along with copies of certain required notices known as the “Automatic Orders”). In lieu of personal service, your spouse can accept service and sign an admission. In any case, your Spouse’s Signature is still Required. Ignore Service of Summons. They can ignore the fact they were served, in which case, they will be in Default. If this happens, then yes, your divorce will be obtained without your spouse’s signature, however, if you have children, you will still have to appear in court for a hearing called an Inquest to determine custody, visitation and support of your children. I have handled over a thousand (1,000) divorce cases and have only seen a default occur a handful of times, not great odds for the “Spouse’s Signature Not Required” representation. Appear & Defend Divorce Action. Your spouse can appear and defend the divorce action (which is far more likely than a Default), in which case, their signature for an uncontested divorce will certainly be required. Advertising a Long Island Divorce for $399 is also misleading because the minimum filing fees for a divorce alone are $335 which does not include the fee for a settlement agreement ($35) as well as the fee for the process server (usually $50.00 to $150.00), nor does it include the fee for a certified copy of your divorce ($5.00 so long as your judgment does not exceed 4 pages). Therefore, the filing fees alone can be no less than $390.00 (that’s $335.00 minimum plus $50.00 minimum for the process server plus $5.00 for the certified copy). What the “$399.00 Divorce” folks don’t tell you is that the forms are prepared by non-lawyers, and then, you are responsible for everything else. That means you have to purchase your own index number, have your spouse served, hope they Default, and then, you have to file your own papers with the Court and pay your own filing fees. You have to make your own copies and obtain your own Certified Copy of the Divorce Judgment. This means that you will appear in court yourself no less than three (3) times, which will likely require you to take days off from work. What Does Your ‘$399.00 Divorce’ Get You? Well, it gets you a pile of forms you can prepare for yourself by visiting the New York State Court website with instructions on how to complete your own divorce (also available on the website). No legal advice and no one to help you navigate the complex waters of divorce in Nassau County or Suffolk County. Of course, if your spouse appears in the action, which is far more likely than a Default, you will have to go to court. At that point, you should hire an attorney to represent you, since your spouse will likely have one. Do You Know the Rules of Divorce in a Long Island Courtroom? A divorce is a civil action like any other. There are rules and procedures and there is a lot at stake when it comes to your assets, your children, support and your future. As a Long Island Divorce Attorney, I can tell you with absolute confidence that there is virtually no such thing as a “$399.00 Divorce”. You should seek the advice of a professional qualified divorce attorney to assist you with properly preparing your pleadings, having your spouse served and navigating the Long Island Divorce Courts. What’s Better than 399? — Free! 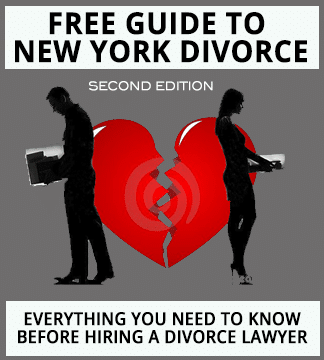 To learn more about what you need to know about How Much a Divorce Costs and how to get help to protect yourself and your future, visit this page: https://divorce-longisland.com/divorce-cost/ Rather than get taken by the claims of a “$399 Divorce”, you owe it to yourself, your children and your future to speak with an experienced Long Island divorce attorney who can protect your interests. The initial consultation is free, so there’s no risk and no obligation. Just call us at 631-923-1910 to set up an appointment for a free divorce consultation. Your initial consultation will be a casual, no-cost meeting where we get to know each other. You will meet directly with Robert E. Hornberger, Esq., not a paralegal or junior associate. During our meeting, we’ll describe the divorce process and learn about the details of your unique situation. Then we can discuss the many divorce options available to you, from a litigated, contested divorce, to a mediated or collaborative no-fault divorce. Together, we’ll determine which is the right solution for you and your unique circumstances. Give us a call today. You’ll be glad you did.